Fallout from nuclear bomb tests, long locked up in the archipelago's glaciers, is poised to melt into the Kara and Barents seas. A scientific expedition to Novaya Zemlya has discovered “big concentrations of radioactivity” in the ice — and concluded that the glaciers are melting into the sea at record speed. Sailing the Kara Sea and the bays along the east coast of Novaya Zemlya from Aug. 17 to Sept 20, the researchers on board Akademik Keldysh concluded there is reason to continue monitoring the dumped containers, but preliminary results gives no indications of leakages. However, especially one barge that was discovered at 400 meters depth, filled with radioactive waste containers, requires special attention for the future. Underwater footage show the barge is destroyed and some containers have fallen out and are spread on the seafloor, news agency TASS reports. 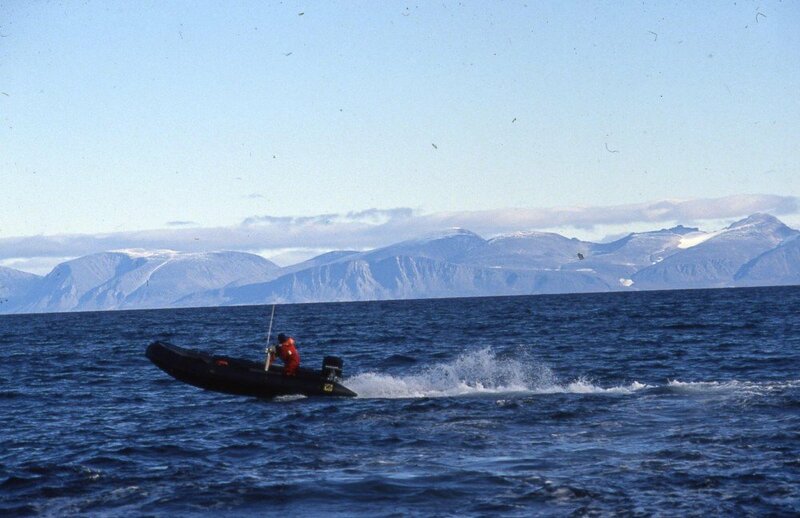 The researchers on board Akademik Keldysh took samples for radioactivity from the Nally glacier in the Blagopoluchiya Bay, just on the northern boundaries of the test site for atmospheric bombs 60 years back in history. Deputy Director of the Institute of Oceanology, Mikhail Flint, tells TASS that high levels of radioactivity were found. “On the Novaya Zemlya, the wind direction is such that most of the pollution is accumulated on the northern island and the northern ice sheet. We have studied one of the glaciers that could carry such pollution — the Nally Glacier in the Blagopoluchiye Bay, and in this glacier we found parts that hold big concentrations of radioactivity,” Mikhail Flint tells. Explaining how the glaciers in the area are retreating, the researchers tell how Akademik Keldysh sailed to the point in Blagopoluchiye Bay where the Vershinsky glacier in 2014 ended in the sea. Today, that spot was more than 2 kilometers out from where the terminus of the glacier is now. While there are almost no commercial fisheries in the Kara Sea, the Barents Sea has a high biological production and the fisheries, in particular the cod fisheries, are of great importance to both Norway and Russia.